This café wants people to think about death and appreciate life. Most of us either seen or heard of different themed cafés, be it in Malaysia or other countries. From animal themes to toilet concepts, strange coffee houses just don't surprise us anymore. But there is a new establishment in Thailand that is offering people something bigger than pure entertainment. 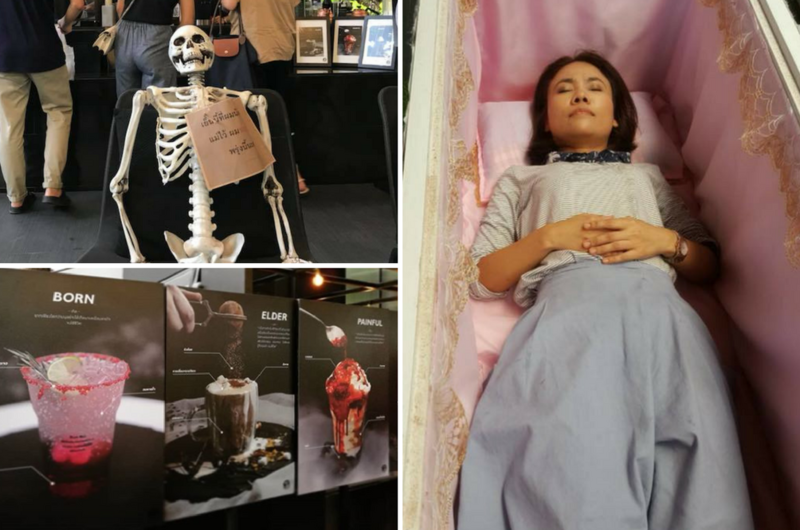 Kid Mai Death Awareness Café in Bangkok challenges customers to think about life and death when their original plan was probably to grab a cup of coffee and fill up their Instagram feed. As you walk through the corridor upon entering, you will be greeted with signs displaying thought-provoking questions that you may ask yourself when you can't sleep at night. The whole café is set up almost like a funeral parlour, with a morbid black and grey interior covering the entire place. 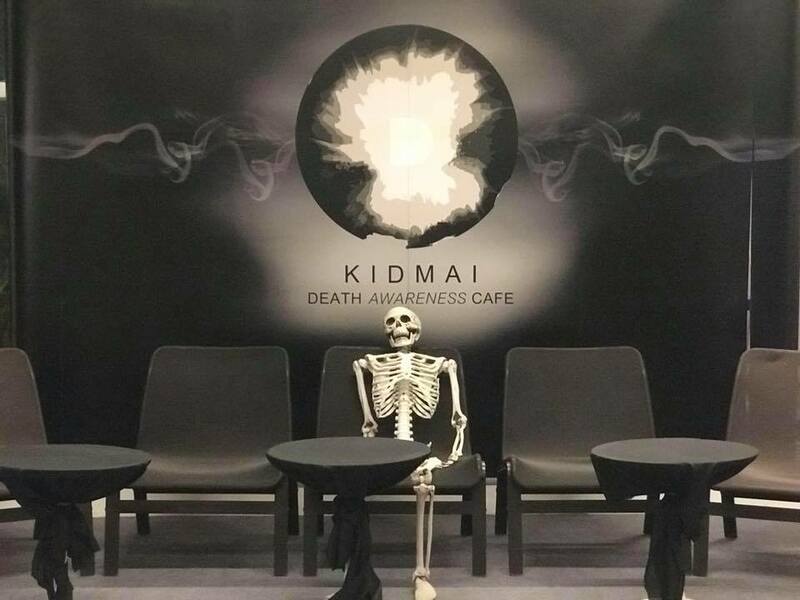 Every corner of Kid-Mai has an element that reminds you that life is fleeting, including coffee and beverages with names like 'Last Day', 'One Week Left', 'Born', wreaths, a skeleton, and even a coffin! Customers who are brave enough to lie in the coffin with the lid closed for a few minutes can even get a small discount off the bill! 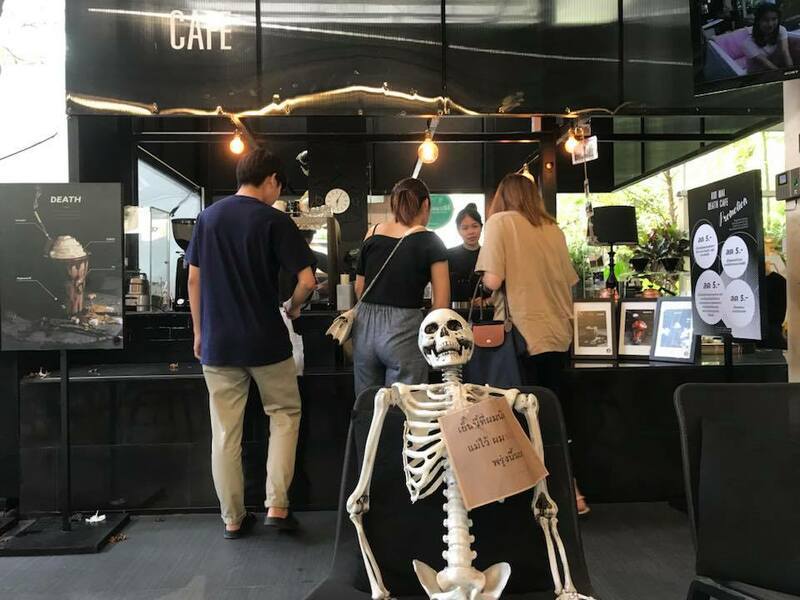 The Death Café was created by Assistant Professor Dr Veeranut Rojanaprapa. In an interview with Lonely Planet, he said that the idea actually came from a research about the Buddhist philosophy to create a right-wisdom society in Thailand 4.0, the country's new economic model. "The results found that awareness of death in Buddhism is strong enough to make people recognise their value of life and that when they recognise this, their greed and anger will decrease automatically," he said. According to this latest economic model, the Thai goverment wants to focus on social well-being to reduce social disparity, create a highly educated workforce and protect the environment. 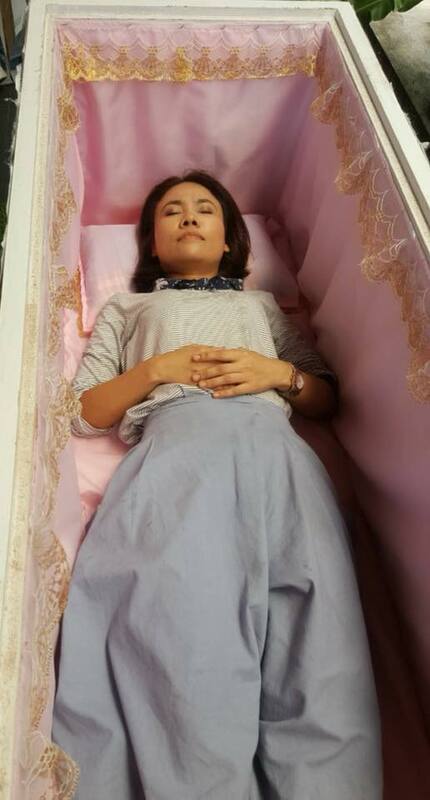 In terms of social well-being, Dr Veeranut wanted to incorporate death awareness into real life. And in his research, he found that people today tend to use lifestyle to determine their social class. Since a lot of young people like to go to cafés to either hang out or work, he came up with Death Café. So if you're ever in Bangkok, do pay a visit to this unique coffee place and you may be left with a fresh new perspective in life.